Unlike my friends who are Yankee fans, I don’t expect a World Series victory every year. I would have loved to see the Mets take it all this year, but it didn’t happen. Carlos Beltran up with the bases loaded in the bottom of the ninth with two outs was all you could ask for. The kid closer from St. Louis threw him three great pitches, including an amazing curve to end it. That was a fun game to watch and it was a fun season to be a Met fan. 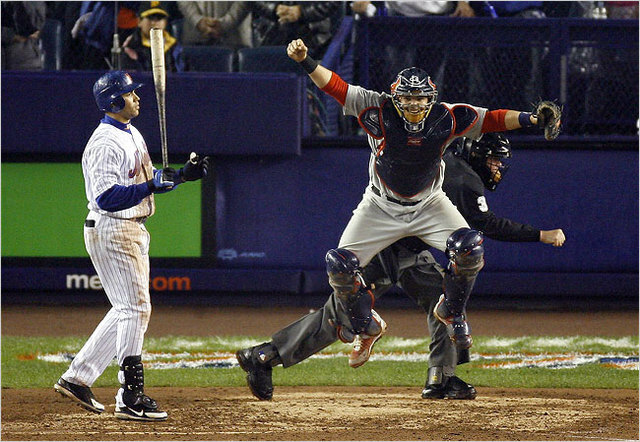 You gotta take what you can get in life and I love these 2006 Mets. I am looking forward to the 2007 Mets. They’ve got some great young talent on this team. 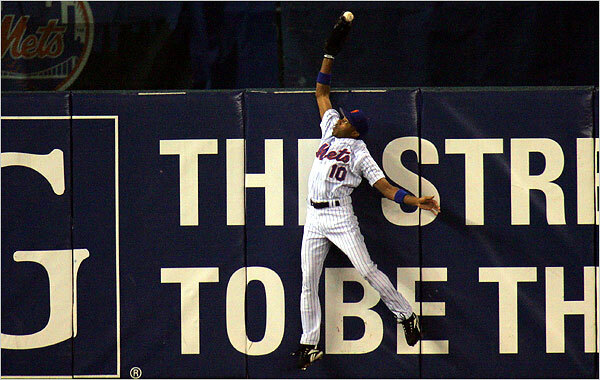 And how about that play by Endy Chavez? These photos came from this slide show at the New York Times. It’s a good photo summary of the game.